Last month, Vermont’s Governor Peter Shumlin signed a bill into a law that makes “at least 10 hours a week of high-quality early education available to every 3- and 4-year-old child” in the state, according to a press release from the governor’s office. “There are numerous positive features contained in the law,” NIEER (the National Institute for Early Education Research) explains in its Preschool Matters blog. The law’s strengths include parental selection of qualified providers; greater access through regionally coordinated, mixed-model delivery systems; and financial stability through the state’s education fund. The new law is one step in a larger strategy for improving children’s outcomes: Vermont’s Early Childhood Action Plan. The action plan is based on a year-long, collaborative effort led by the Governor’s office, the Vermont Agency of Human Services, the Vermont Agency of Education, and early learning advocates. The plan also calls for improving the quality of early education and supporting the early education workforce by increasing pay and benefits and creating more training and professional development opportunities. Vermont also plans to enhance its use of early childhood data by improving and integrating information across several sectors, including early learning, K-3, and health and human services efforts. 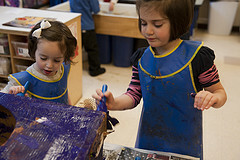 In addition: children who succeed in pre-K now are more likely to become productive workers in the future; working parents will feel more confident about their children’s early learning experiences; and Vermont — with its improved and expanded pre-K — should prove more attractive to young, talented workers seeking jobs in a family-friendly state.